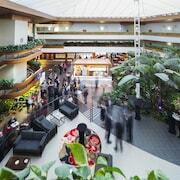 Located in the heart of Dickson, this hotel is within 3 mi (5 km) of Kamberra Function Centre, Canberra Centre, and Australian National University. Australian War Memorial and Canberra Stadium are also within 3 mi (5 km). 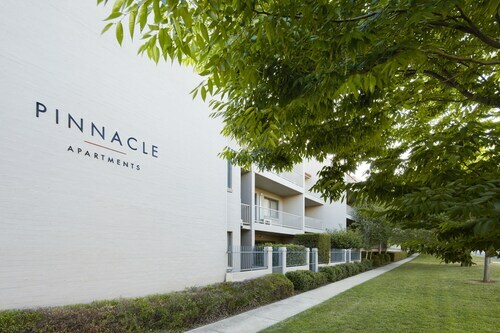 Situated in the suburbs, this hotel is 1.2 mi (2 km) from Kamberra Function Centre and within 3 mi (5 km) of Canberra Centre and Australian War Memorial. Australian National University is 3 mi (4.9 km) away. 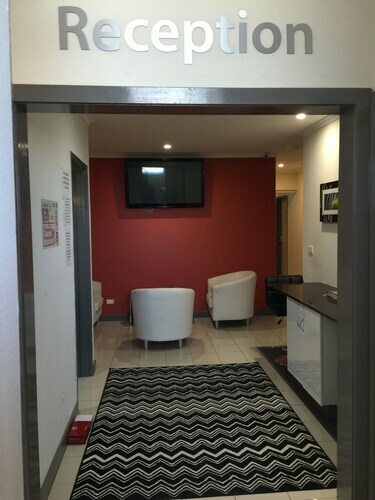 Situated near the airport, this hostel is within 3 mi (5 km) of Kamberra Function Centre, Canberra Centre, and Australian National University. Australian War Memorial and Canberra Stadium are also within 3 mi (5 km). Those travelling to Australia and its capital will have whet their appetite seeing the streets of Dickson, situated 4 kilometres north of the CBD of Canberra. If you are heading to Canberra, you should stop by the Parliament House, the Australian War Memorial and the National Gallery of Australia. If you're feeling like you could use some help, tourist information is never far away. Pick up a directory from Canberra and Region Visitors Centre. If you'd like to hit the hay close by, consider the Pacific Suites Canberra, an Ascend Hotel Collection and Quest Canberra. Uncover the tales from generations past when you plan a tour of Deasland Homestead. 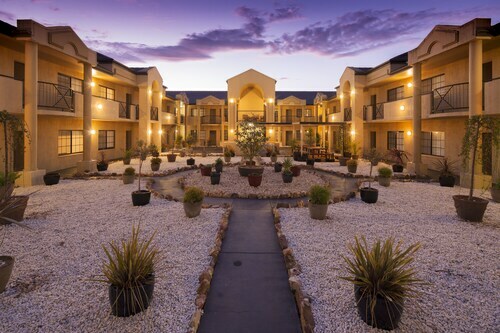 The Parklands Hotel & Apartments and Alivio Tourist Park Canberra are your best bets for this place. If you want to save some money in Dickson, you should make a reservation at the Dickson Central - Hostel. Looking to spoil yourself in Dickson? 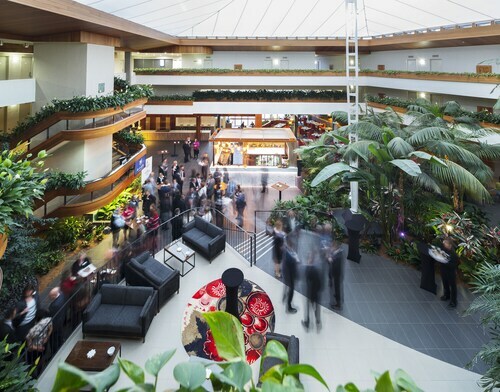 You should take a look at the Aria Hotel Canberra and Pavilion on Northbourne. There's no better way to kickstart your day of adventures than at one of the fantastic cafes of Dickson. A caffeine hit at Aria Hotel Canberra ought to do nicely. After a nice place to dine? Pavilion on Northbourne Hotel is a favourite with locals and visitors alike. Book a table and see if you can choose between all of the tempting items on the menu. Don't pull your hair out if you cannot secure the right Dickson hotel deal. You will find more places to get a great night's sleep in the Downer hotels guide and the Wotif Northern Canberra hotels guide. Downer is about a kilometre from Dickson and Northern Canberra is a kilometre away from Dickson. Dickson features some fabulous accommodations. So, if you are ready to explore the delights of Canberra, Wotif can take you there, on time, on budget and in style! How Much is a Hotel Room in Dickson? Hotels in Dickson start at AU$101 per night. Prices and availability subject to change. Additional terms may apply.